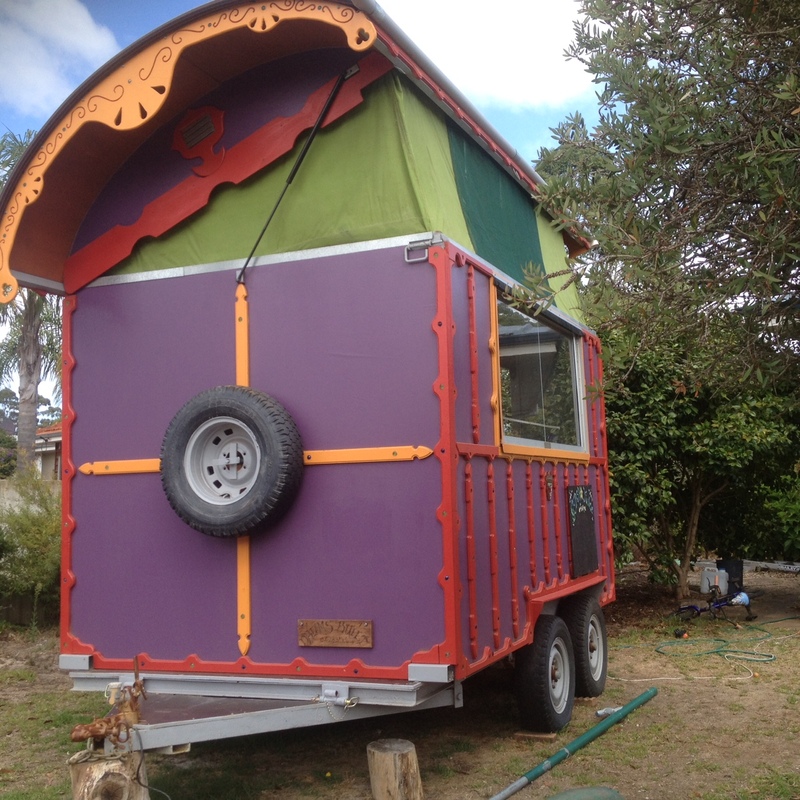 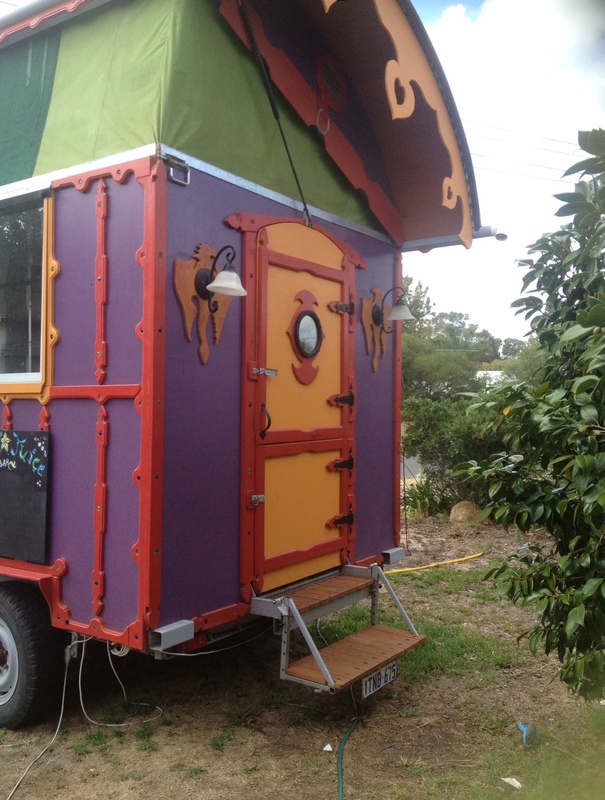 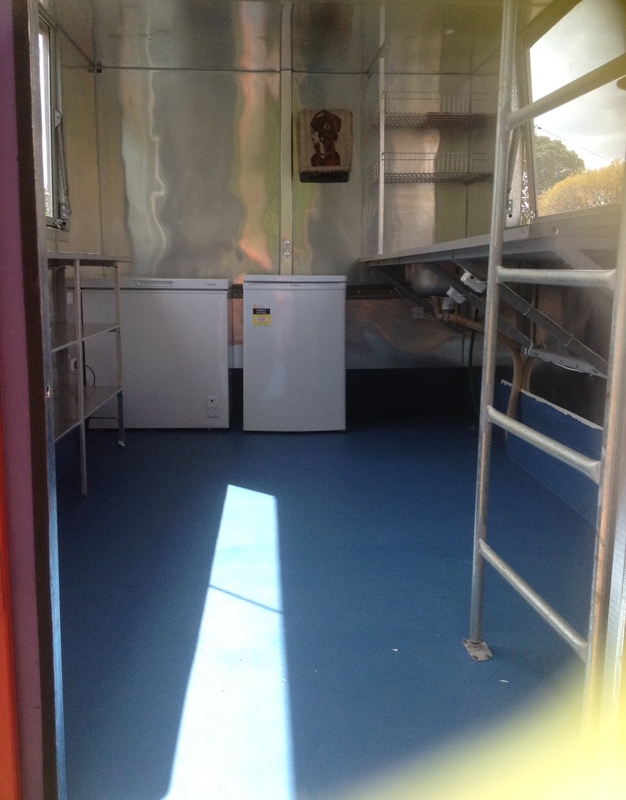 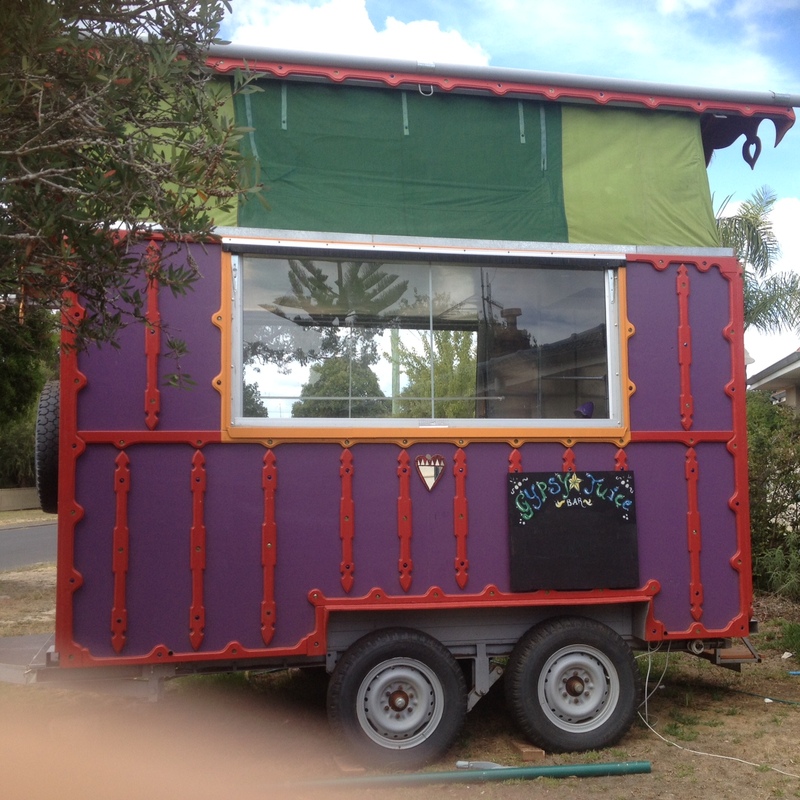 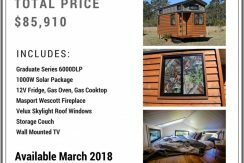 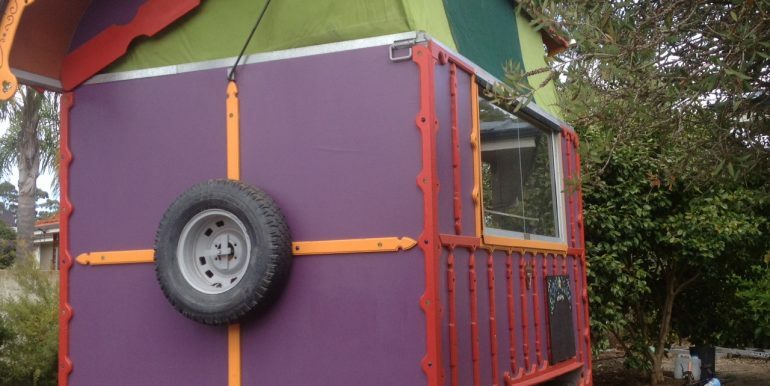 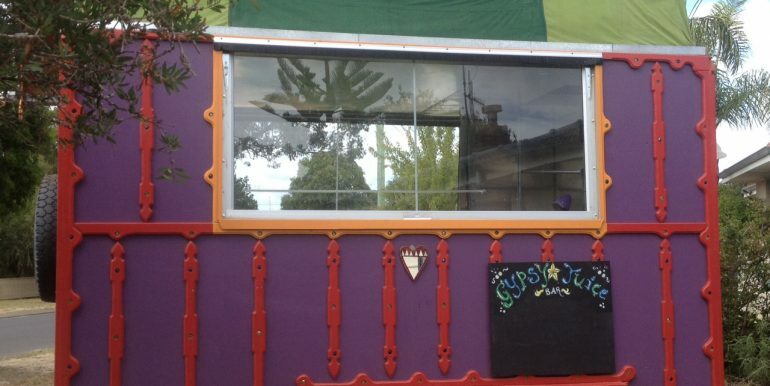 Handcrafted gypsy style trailer with simple Kitchen, large windows with up ladder bedroom unfolding in roof. 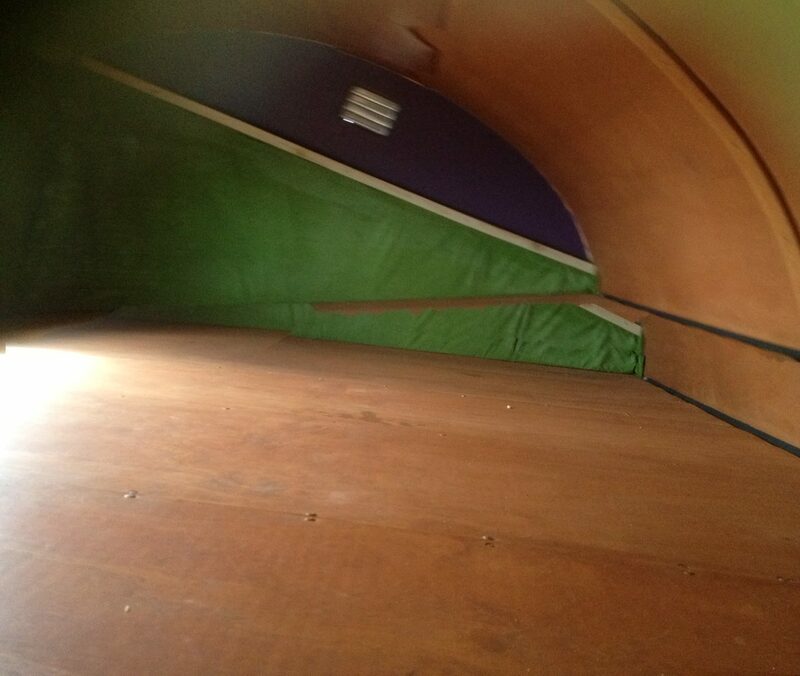 Make beautiful studio , spare room. 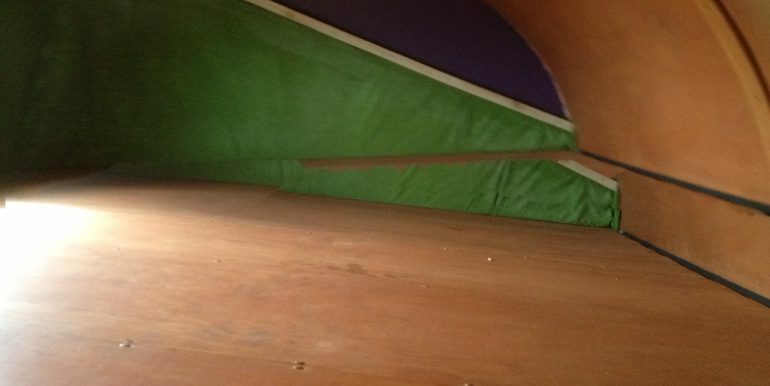 Only 5 months old. 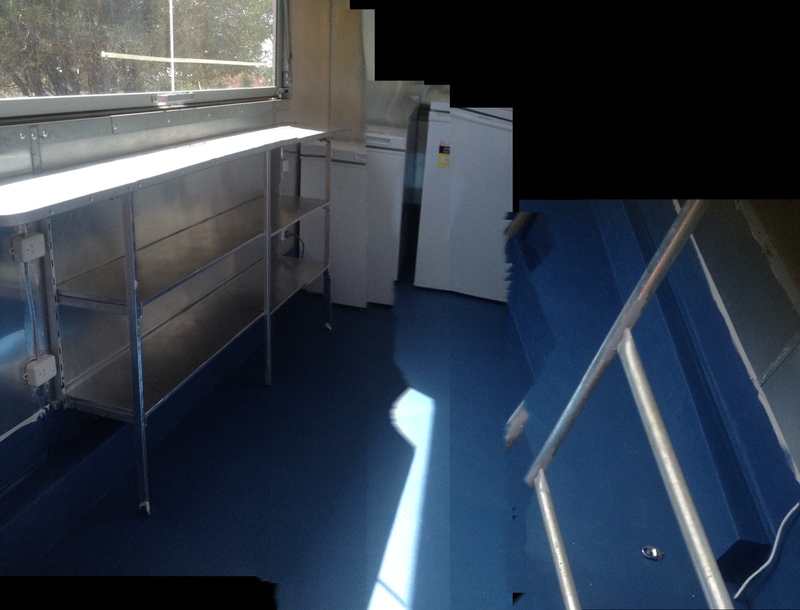 3.7 X 2.5 metres . 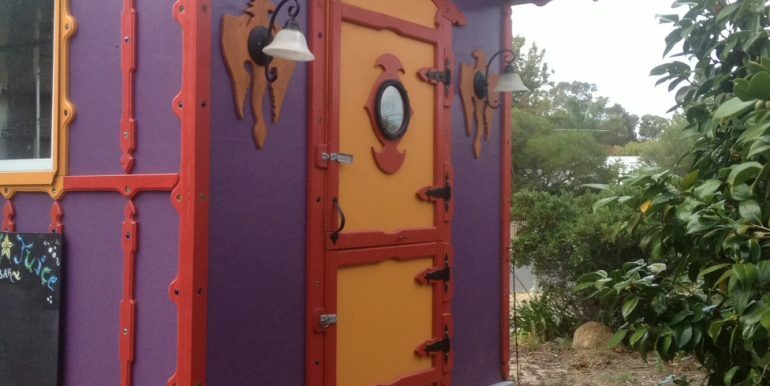 Wooden painted rich bright gypsy style colours of purple, red and yellow. 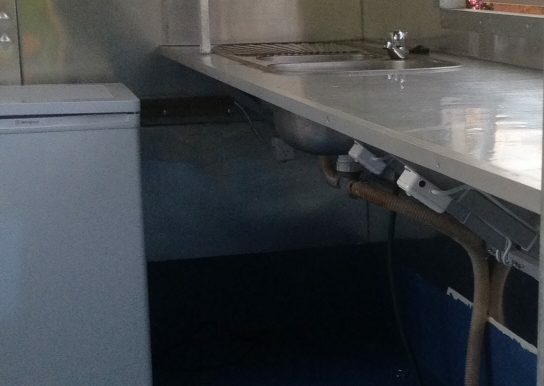 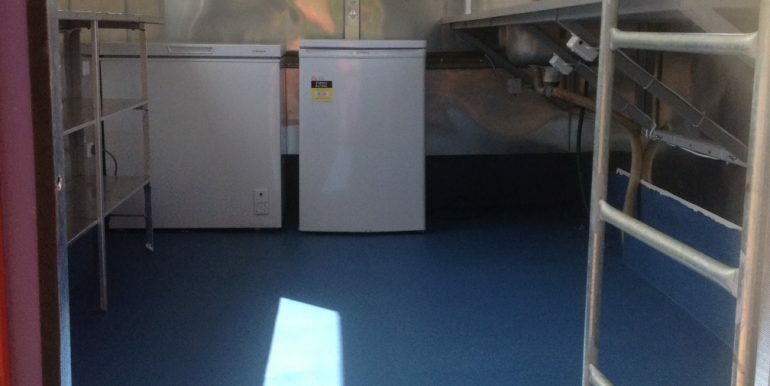 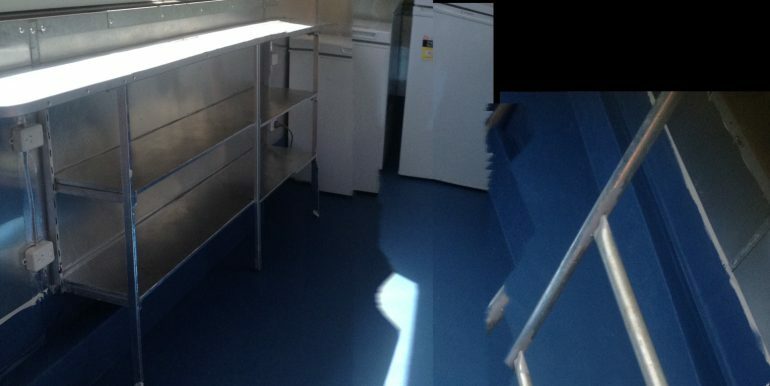 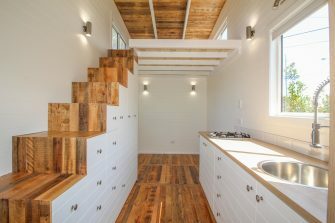 Handcrafted, very strong, wooden, medium risk kitchen approved , double sink, lots of bench space, no stove and very unique and eye catching.